Completely unique, to create these tiny unicorns I hand cut the design and then had them cast in sterling silver. 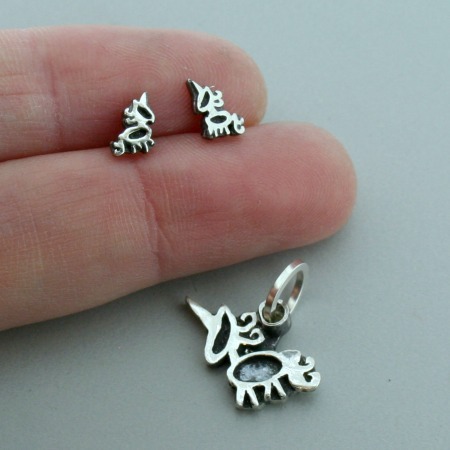 The dainty post earrings measure approximately 1/4" long while the unicorn charm measures 1/2" long from horn to hoof. I hand finish each piece making each piece unique in it's own way. This is a pre order, please allow up to 3 weeks for your order to be mailed out, this doesn not include trasit time once mailed.